Ronald C. White is one of today's most astute biographers of Abraham Lincoln. He has written three award-winning and bestselling books on the 16th U.S. president, offering new insights into this fascinating historical figure. White's lectures are riveting and thoroughly researched historical journeys, with lessons that still speak to us today. Ronald C. White is the author of Lincoln: A Biography, a New York Times, Washington Post, and Los Angeles Times bestseller. He is also the author of the bestsellers Lincoln’s Greatest Speech: The Second Inaugural, honored as a New York Times Notable Book of 2002, and The Eloquent President: A Portrait of Lincoln Through His Words. He has written Op-Eds appearing in the New York Times, Washington Post, Los Angeles Times, and Christian Science Monitor. His latest presidential biography, American Ulysses: A Life of Ulysses S. Grant, offers a surprising portrait that reshapes our understanding of an American hero. For his work, White received the 2017 William Henry Seward Award for Excellence in Civil War Biography, award by the Civil War Forum of Metropolitan New York. A frequent and popular speaker, White brings history alive to give context to today’s issues. As one of the foremost biographers of Abraham Lincoln, White draws audiences in with new insights into Lincoln’s life and legacy as a lawyer, politician, and president. In his lectures on Ulysses S. Grant, White refocuses the life of self-effacing American Ulysses who points beyond himself to a panoply of enduring values. White has lectured at the White House and been interviewed on PBS News Hour. He is a graduate of UCLA and Princeton Theological Seminary with a Ph.D. in Religion and History from Princeton University. He has taught at UCLA, Princeton Theological Seminary, Whitworth University, Colorado College, Rider University, and San Francisco Theological Seminary. 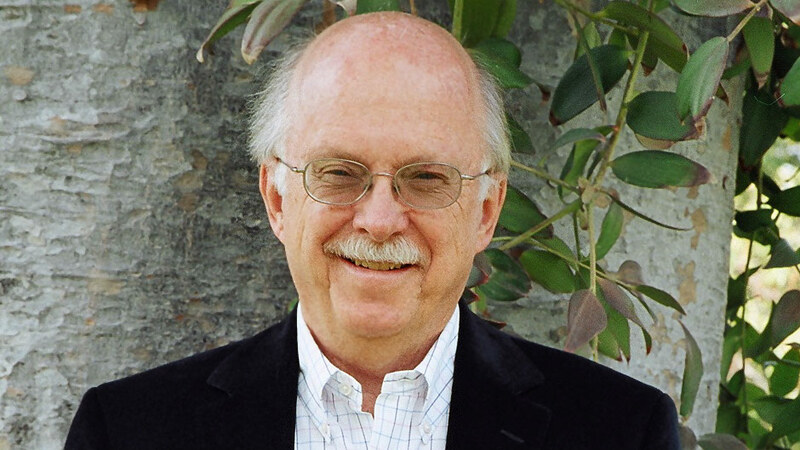 He is a Fellow at the Huntington Library and a Senior Fellow of The Trinity Forum. He received the Doctor of Humane Letters from Whitworth University in 2009. He lives with his wife, Cynthia, in La Cañada, California. He is currently working on a biography of Joshua Lawrence Chamberlain, the hero of Gettysburg’s Little Round Top, four-term Governor of Maine, and President of Bowdoin College. Ronald C. White, Jr.'s refocuses American hero Ulysses S. Grant for the 21st century. Decisive yet self-effacing, overcoming multiple trials as a young man, Grant led the North to victory in the Civil War and then offered a surprisingly magnanimous peace to Robert E. Lee and the defeated South. In the politics of our day, chockfull of cynicism and peopled by big personalities, White refocuses the life of self-effacing American Ulysses who points beyond himself to a panoply of enduring values. Keeping in mind that Abraham Lincoln is a 19th century leader, Lincoln biographer Ronald C. White, Jr. presents excerpts from Lincoln’s speeches, letters, and notes to himself to show how Lincoln’s wisdom—as a lawyer, politician, president, and commander in chief— can still speak to us today. Join in the discovery of Lincoln’s artistry with words and discover how for our divided nation Lincoln’s inclusive words offer a powerful contemporary call for reconciliation. Abraham Lincoln is our most eloquent President. Lincoln believed his Second Inaugural Address to be "[his] best effort.” Join in the discovery of Lincoln’s artistry with words and discover how Lincoln’s inclusive words offer a powerful contemporary call for reconciliation. White delineates Grant’s virtues better than any author before. . . . By the end, readers will see how fortunate the nation was that Grant went into the world—to save the Union, to lead it and, on his deathbed, to write one of the finest memoirs in all of American letters. Superb . . . illuminating, inspiring and deeply moving . . . The Grant we meet in American Ulysses is richly deserving of a fuller understanding and of celebration for the man he was and the legacy he left us. Ronald White has restored Ulysses S. Grant to his proper place in history with a biography whose breadth and tone suit the man perfectly. Like Grant himself, this book will have staying power. Magisterial . . . Grant’s esteem in the eyes of historians has increased significantly in the last generation. . . . [American Ulysses] is the newest heavyweight champion in this movement. In this thorough and engaging new book, Ronald C. White restores U.S. Grant to the pantheon of great Americans. As a soldier and a president, Grant rendered his nation invaluable service, and White’s epic biography is invaluable as well. ...in the generations after his death in 1885, Grant’s reputation as a general and president spiraled downward until a current generation of biographers and historians has persuasively resurrected it. Ron White’s American Ulysses represents a culmination of that process. In elegant prose he gives us not only the public Grant who won the war and defended equal racial rights as president but also the private person as husband, father, and everyman who met misfortune without self-pity. Outstanding . . . Lincoln’s eloquence was of such a rare kind. Ronald C. White captures its qualities admirably. An insightful, highly readable exploration of literary genius. The torrent of Lincoln books past and present . . . means that the bar is necessarily set high. A. Lincoln . . . [is] among the most substantial new entrants. This thoroughly researched book belongs on the A-list of major biographies of the tall Illinoisian; it’s a worthy companion for all who admire Lincoln’s prose and his ability to see into, and explain, America’s greatest crisis.